Seven years ago, two Review-Journal columnists weighed in on whether or not Tiger Woods would ever again win a Masters. 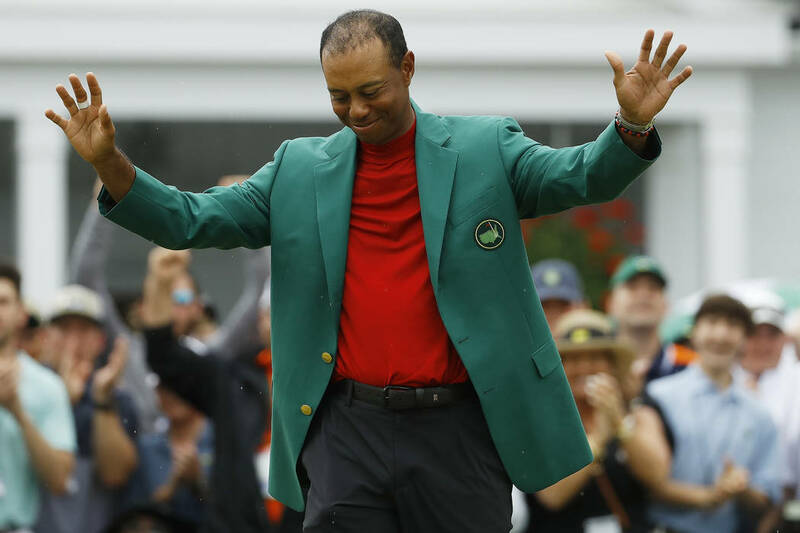 After Woods won the Masters on Sunday, for his first major title since 2008, Ed Graney and Ron Kantowski looked back on their previous predictions. Mea culpa, 2,272 days later. Hey, that’s a hell of a shell life for a column. I write opinions that don’t hold up 24 minutes, never mind nearly seven years. But it’s over. Tiger Woods won his 15th major golf championship at the Masters on Sunday, which I wrote in 2012 would never occur. Said he would be stuck on 14 for eternity. Ultimately, I pulled a Francesco Molinari and hit it fat into the drink. At age 43, Woods has a fifth green jacket. Pretty incredible. He had lost his invincibility. Nobody feared him or his red shirt any more. The injuries mounted. His clutch putter abandoned him. Had a few more back surgeries. Mostly, young stars who he was most responsible for motivating through fitness and work ethic arrived on the scene. Mostly, Woods’ own greatness led to so many others passing him by. So this was all his doing, really, this long drought. A combination of a broken body and offering some who grew up idolizing him a blueprint from which to follow. Spieth. Day. McIlroy. Fowler. Now, a Schauffele. I won’t write this is it or that Woods will be stuck on 15. Nearly seven years later, I’ll just eat those 726 words and offer a golf clap to my esteemed colleague, Ron Kantowski, who offered the opposite opinion 2,272 days ago. Hell of a run, indeed. Contact columnist Ed Graney at egraney@reviewjournal.com or 702-383-4618. Follow @edgraney on Twitter. This is how incredulous that prediction seemed. I based it on the John Daly theory. How in 1991, the big lout had won the PGA Championship before going off the deep end with a giant splash — “Like Thornton Melon doing the Triple Lindy with a Jack and Coke in each hand” was how I described Daly’s fall from grace. Four years later, before he started wearing pink golf shirts with orange golf pants, Daly won the 1995 British Open. My logic: If John Daly could win another major after a long dry spell, why couldn’t Tiger Woods? Tiger was easily the better golfer, even if he had lost his mojo due to injuries and for a time seemed more interested in the social ramble. On Sunday, Tiger was the best golfer. On the game’s biggest stage. He was back, and staid Augusta National Golf Club shouted hosannas from Amen Corner. Baseball and stock car racing fans had a reason to watch golf on TV again. I guess I called it. Contact Ron Kantowski at rkantowski@reviewjournal.com or 702-383-0352. Follow @ronkantowski on Twitter.